Illustrating the transformative power not only of music, but of mentorship, Ben Niles’s film is an uplifting look at Juilliard’s Music Advancement Program for inner- city youth. Several diverse and inviting kids are followed for two years as they devote their weekends to developing their musical proficiency, receiving hands-on instruction typically impossible in their regular schooling. These are not an elite group of musical prodigies, and that’s the point—music education should be open to all children, enriching lives and instilling discipline and confidence. 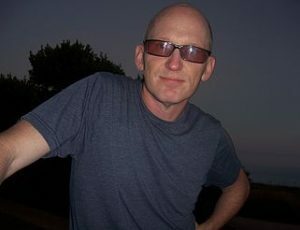 Ben Niles is an award-winning documentary filmmaker. His film, “Note By Note (The Making of Steinway L1037),” won top honors at the Sarasota Film Festival, was nominated for an IDA award and selected to the prestigious American Documentary Association, screening in over 30 countries. It is now airing nationally on PBS. He recently released “Some Kind of Spark,” a documentary following kids from underserved communities in a music outreach program at Juilliard. Cited as “1 of 16 docs to see this year” by the Huffington Post, “Spark” is currently playing festivals and will be released this fall by Argot Pictures. In addition, he is also co-directing Still We Rise, a film that addresses mental health issues in Liberia, with writer and producer Molly Knight Raskin. Prior to filmmaking, Ben was an award-winning art director and designer. He directed and produced photo shoots, trailers, commercials, and print campaigns for commercial and entertainment clients including Atlantic Records, Razorfish, JDK Design and J. Walter Thompson. In his years in the record industry, Ben created album packages for Collective Soul (Entertainment Weekly’s Best 100 Album Covers 2000), Jewel, Hootie and the Blowfish, Jon Brion and celebrated box-sets for Phish and George Carlin, and packages and identities for jazz musicians Cyrus Chestnut, James Carter and Henry Butler. A graduate of the University of Georgia at Athens, Ben attended UGA’s prestigious Cortona program, an intensive fine arts study abroad program located in Cortona, Italy.